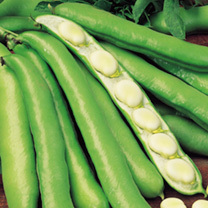 Our broad beans seeds come in a number of different varieties, but all produce beautiful high quality pods of tasty beans. 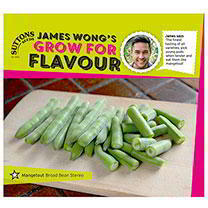 Packed with vitamins and vegetable protein - at their maximum when picked fresh - so why not grow your own? 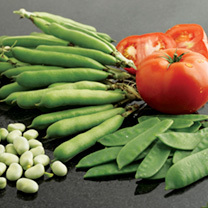 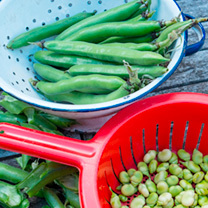 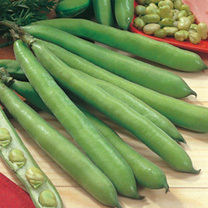 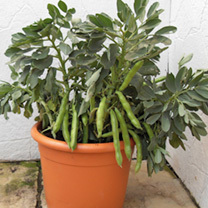 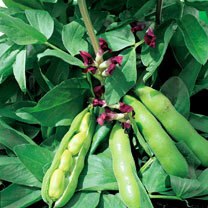 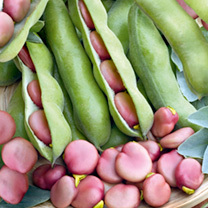 Broad beans are quite hardy and can be grown outdoors on the veg patch. 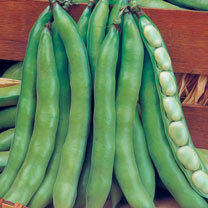 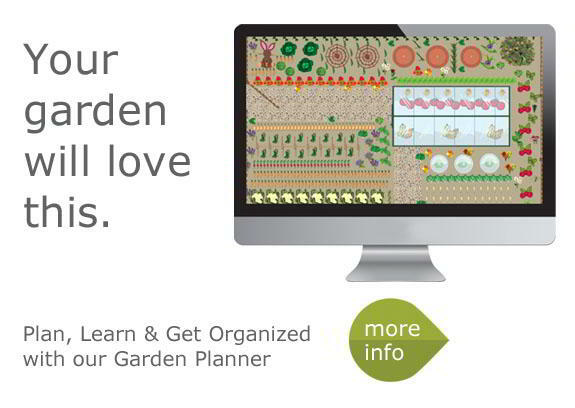 The seeds need to be sown directly into the soil at a depth of about 50mm between February and April. 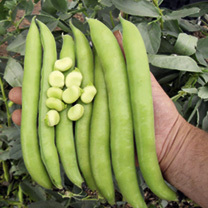 Broad Bean Seeds need to be spaced at least 20cm apart; best sown alternately in double rows which are 23cm apart. 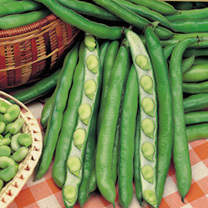 Your Broad bean seeds will germinate within 7-14 days. 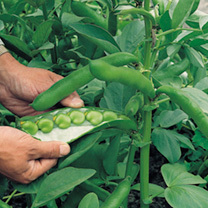 Once the first beans start to develop pinching off the top 7.5cm (3") of stem will help to deter blackfly. 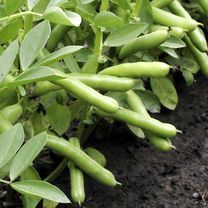 Should the plants be attacked spray them with Bayer's Ultimate Fruit and Vegetable Bug Killer or other suitable insecticide. 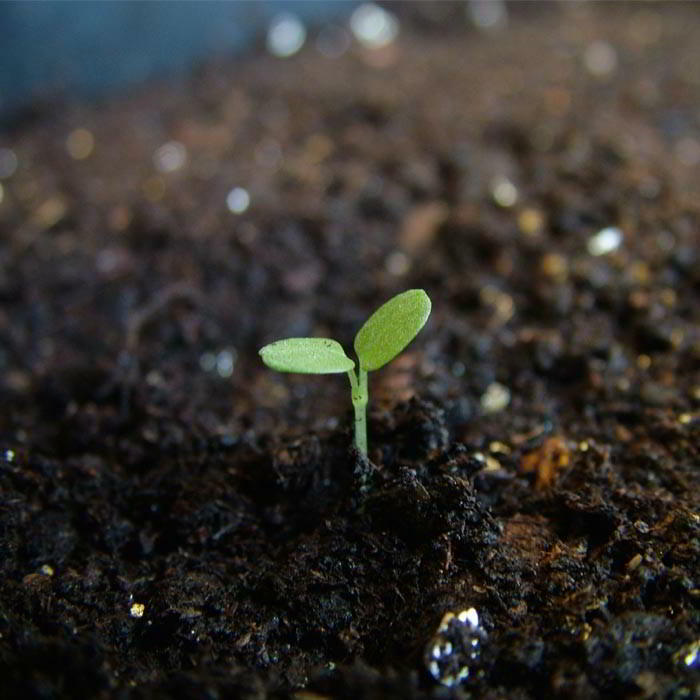 As with all chemicals follow the recommendations on the packaging.